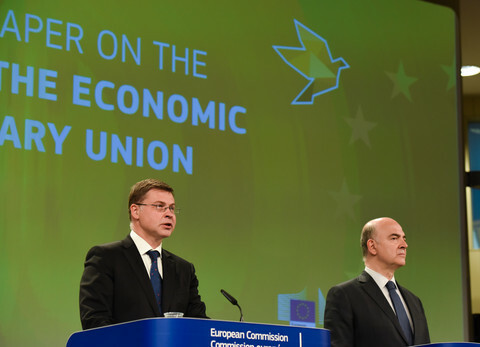 The European Commission presented on Wednesday (31 May) its proposal to "move forward" on eurozone integration with a treasury, a finance minister and several instruments to make the financial sector less vulnerable to crises. 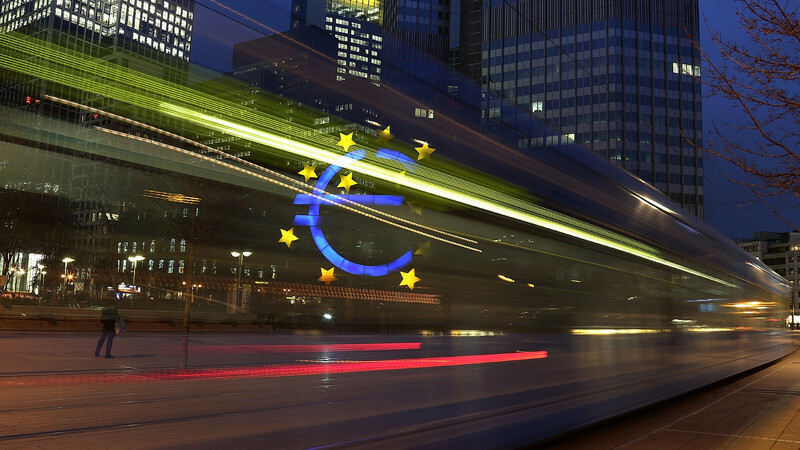 The document, which is part of an ongoing reflection about the future of the EU, aims to "fill the gaps" in the single currency and to help the eurozone economies to converge. "We cannot and should not wait for another crisis," said commission vice president Valdis Dombrovskis, who admitted that "doubts remain about the full stability and safety of the system". He said that the Commission was putting forward a "balanced approach", where "solidarity and responsibility, risk-reduction and risk-sharing go hand in hand". 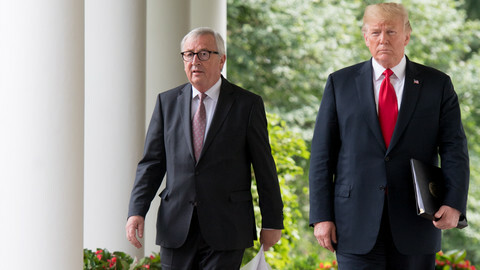 The EU executive is proposing a two-phase calendar. First, it calls on member states to complete the banking union and the market capital union before the end of 2019. Then, until 2025, the "architecture" of the economic and monetary union should be completed with a series of "more far-reaching measures". In the first phase, the Commissions says that the measures already agreed or implemented should be topped up with a financial backstop: the Single Resolution Fund and a European deposit insurance scheme. The fund would be able to rescue a failing bank, while the scheme would protect people’s savings. At the same time the "democratic accountability and effectiveness" of the eurozone governance should be improved, with an increased role for the European Parliament, but no specific eurozone parliament. After anti-EU forces were kept from power in the Dutch and French elections, just months after Brexit shook the foundations of the bloc, the EU has an "historical opportunity" to "move forward", said finance commissioner Pierre Moscovici. "Status quo is not an option," he said, while putting on the table propositions to increase EU oversight on economic policies. The EU executive says that integrating parts of the EU treaty on stability, coordination, and governance in the economic and monetary union, the so-called fiscal compact, in EU law "could be a necessary step" as soon as next year. 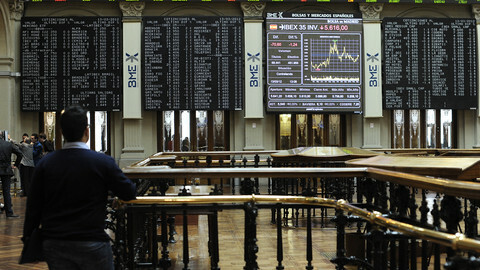 The fiscal compact was agreed in 2012, at the height of the financial crisis, in order to "foster budgetary discipline" through more coordination and supervision of national policies. In the second phase, before 2025, the Commission proposes to create an "EU finance minister" in charge of a eurozone treasury. The "minister" would combine the functions of euro commissioner and permanent president of the Eurogroup. The treasury would carry out the "economic and fiscal surveillance" of member states. The Eurogroup itself, which is currently an informal gathering of the eurozone finance ministers, would become an official ministerial council and would be granted "decision-making competences". At the same time, the Commission lays out a series of measures to reduce risks in the financial sectors, in particular the link between the banking sector and national sovereign debts. The most controversial ones could be the propositions to create a so-called "safe asset" to issue bonds in common and to change regulation for sovereign bonds so that banks are encouraged to diversify their holdings. 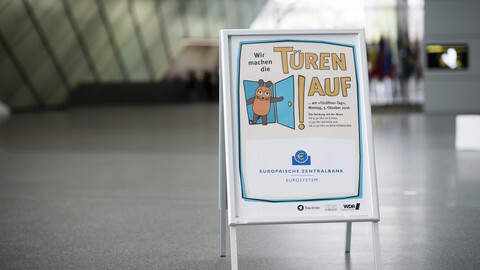 Although the proposal does not amount to creating eurobonds, a system that would put EU countries' debt in common, it could raise eyebrows in countries like Germany, which categorically rejects eurobonds. The Commission admits that "the question of debt mutualisation is heavily debated" and that the idea "raises a number of complex legal, political and institutional questions". It also said that member states would need to discuss the idea of a European monetary fund or of a “rainy day fund" to help absorb economic shocks. 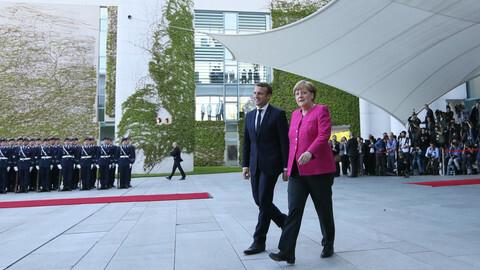 "There is almost everything, but in vague terms, for an indefinite future, and subject to conditions," Daniel Gros, from the Centre for European Policies Studies, a think tank in Brussels, told EUobserver. He pointed out that the Commission makes "no clear choice" on how to reduce risks for the financial sector when it comes to sovereign debts, or to let the public sector issue securitised bonds. "It is so vague that it is difficult to say whether it is big or not," he said, adding that "the timeline is not important" since the proposals would have to be detailed before being discussed, not to mention adopted. Gros said one likely reason why the proposals were so vague was that there were disagreements inside the Commission. 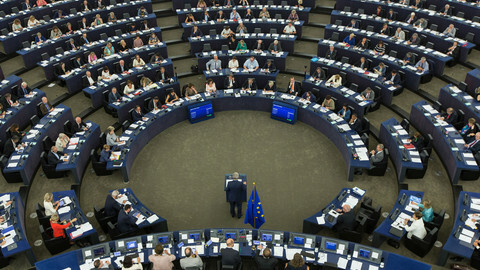 "We are making propositions for the future," Moscovici said, as a way to admit that member states will likely be reluctant to endorse all the Commissions's ideas. But he warned that "we can't have a two-speed Europe, nor a two-speed euro". "A two-speed euro has serious consequences," he said: “the increase of political differences and the rise of extremism." Juncker expected to present four alternative "avenues" for European integration in a post-Brexit strategy document. Transparency International says eurozone's central bank is not subject to "appropriate democratic scrutiny" and should have no say on EU bailout projects. The EU Commission president said that he wants "a stronger Economic and Monetary Union" but ruled out any ideas that could create a separate group within the EU.